Secretary-General António Guterres (not pictured) visits the Golden Temple, also known as Sri Harmandir Sahib or Darbar Sahib, in the city of Amritsar, Punjab, India. 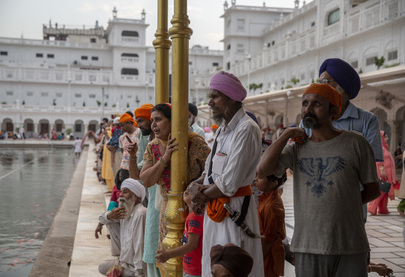 It is the holiest place of worship and the most important pilgrimage site of Sikhism. Visitors to the Golden Temple.